We cannot think of any (apart from the fact that it would save someone in your office about half-an-hour a week) but that's maybe because we have seen all the advantages of taking a proactive stance with reviews for so long now! 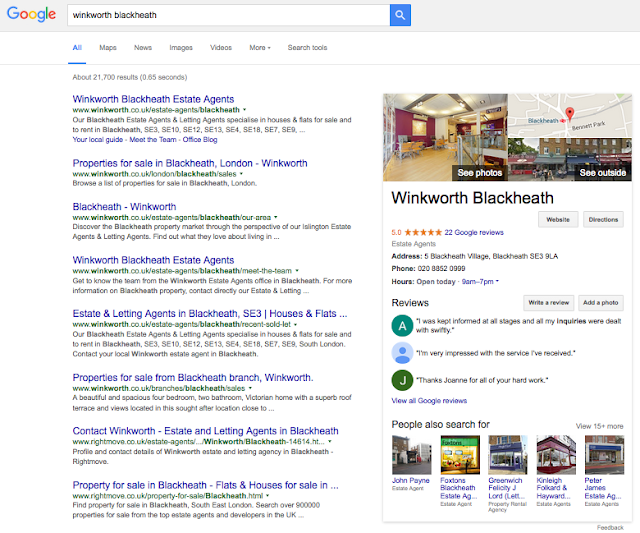 These days only one kind of review shows up directly in Google search: Google reviews. 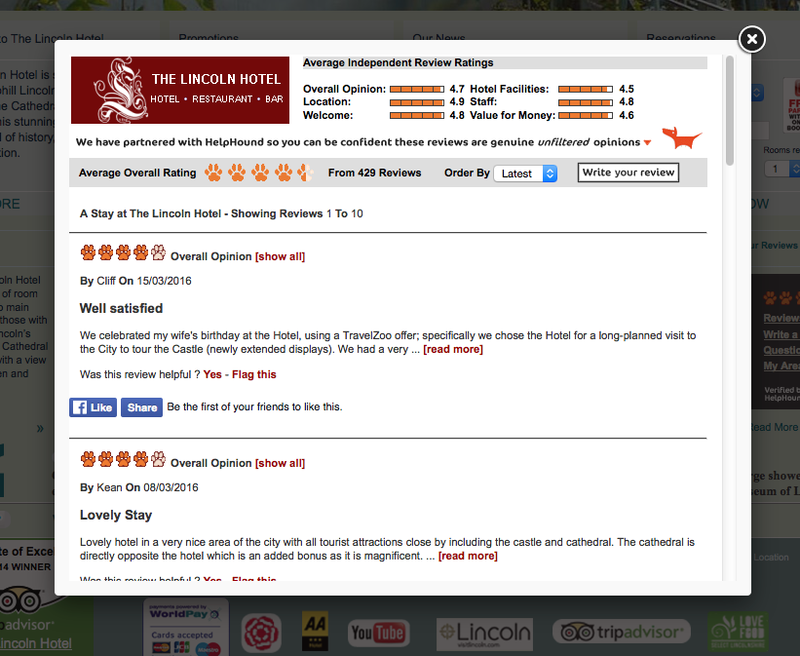 Reviews can be shown to potential customers, via links in emails or in person. Beware of their business models: do they rely on pushing your reviews down unless you pay - often called 'Premium Listing" - (Yelp)? There are three ways of being listed by Google showing in this single screenshot: Paid-for advertising, the 3-Pack and natural listings. Greene & Co currently appear at the top of the 3-Pack and are the top of natural search as well. 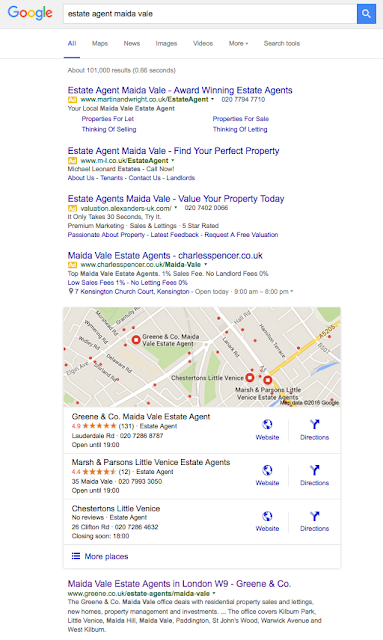 Two questions: Do you see any independent review site (specific: AllAgents or RaterAgent or general: Yelp/Yell) showing and do you think their Google score of 4.9 from 131 reviews is helping to drive business? It is all about trust: this hotels' potential guests are able to fully trust the reviews hosted on the hotel's own website - all 429 of them - because they are being reassured by the line under the hotel's logo. They also love the subliminal message that they too will be invited to post a review after their own stay. Here we'll take the disadvantages first! Full support: had a negative review - on any site? We'll advise you. Need to understand your G+ page(s): We'll explain them. Cannot wait to dovetail your reviews with social media? We'll show you the best way to integrate them with Facebook, G+ and Twitter. If we discount the first option (doing nothing) and the second option (getting reviews to sites that don't show in Google search) the choice is yours; if we have said enough to convince you to at least speak to us about going the professional route just speak to Fiona Christie or Karen Hutchings today.